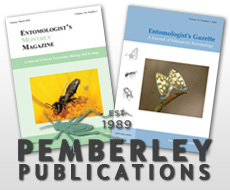 Pemberley Natural History Books was established in 1989. In 2000 we opened a shop in Richings Park, Iver which is conveniently located close to London and Heathrow airport. Visitors have the opportunity to view our extensive stock of Entomology Books and other natural history subjects. In addition to new, used and antiquarian books we also stock natural history CD's, journals, scientific papers and sale items. If you are travelling far, please telephone to confirm opening times. We are also happy to open at other times by appointment. By Car : only 6 minutes by car from M25 via M4 (junction 5), or M40 (junction 1). 15 minutes from Heathrow Airport or Windsor. By Train : 25 minutes from London-Paddington to Iver Station, by First Great Western Link train service (2 trains per hour, Monday-Saturday) Please see rail timetable here. Iver Station is also served by trains from Oxford and Reading and Heathrow airport. We are only a one-minute walk from Iver Railway Station. By London Underground: The closest London Underground station is Uxbridge which is 3 miles away. Uxbridge is served by the Piccadilly and Metropolitan line. From Uxbridge there is a taxi service. Monday-Friday a local bus service no.459 (Jason Tours) leaves Uxbridge Bus station to Richings Park, at 10.10 am, 12.10pm, 13,10pm, 14.10pm. 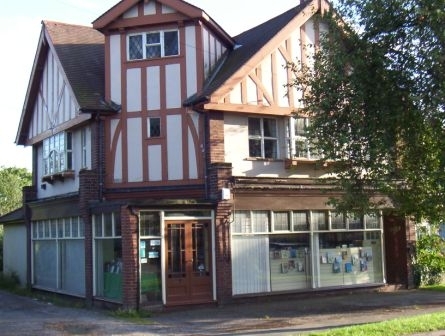 Richings Park once formed part of the estate of Lord Bathurst and retains a village character with a number of shops. It is close to Iver Village with its interesting ancient Church. Other tourist destinations near by include Windsor, Eton and Lego Land. The world famous Pinewoods Film studio is a short distance away. Black Park, Langley Park, Denham and Thorney country parks are a short walk or drive away. Please use the map below to find our shop, based in Iver, Buckinghamshire.